WILLEMSTAD - It is possible that employers will soon have to pay not for 2 sick days, but six. This is according to the Director of the Social Insurance Bank (SVB) Philip Martis. The insurance bank is struggling with a negative balance of more than 10 million in 2017 and hopes with a new law to bolster this balance the other way. Minister of Finance Kenneth Gijsbertha stated earlier during a Parliament meeting that employers often ask their employees not to work after 2 days, but the third day to go to the SVB. 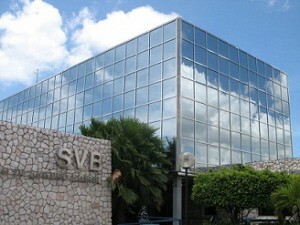 Then the employer does not pay for the two sick days, but the SVB. By having the employer pay for 6 days, Martis hopes that employers will be less tempted to keep their employees at home longer, because someone will be missed on the work floor for at least seven days. This should save the SVB at least 5 million. The law is still being drafted by the Ministry of Finance. It should also be approved by the Advisory Board.